Another dessert, another panna cotta. I hope you guys are not getting bored of all my panna cotta variations but they are so so so delicious and easy to make! 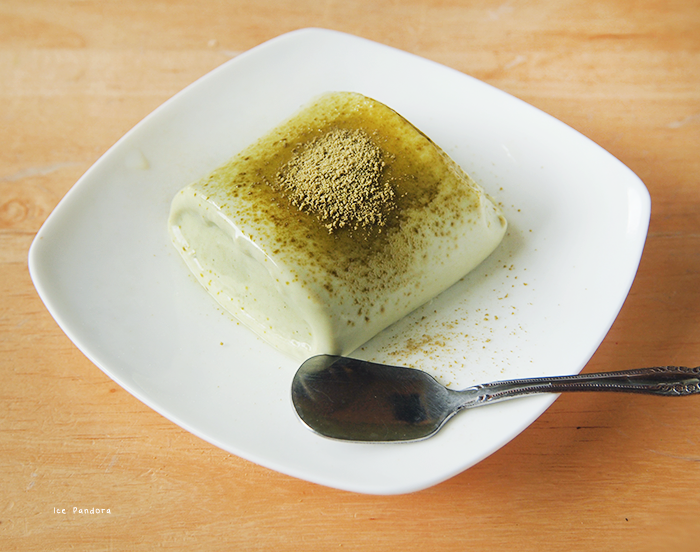 This time I’ve made a greentea flavored panna cotta which totally brings me the Asian out of this Italian dessert! I hope you guys try it! Alweer een toetje, alweer een panna cotta. Ik hoop dat ik jullie niet vervelen van mijn panna cotta varianten, maar ze zijn zo zo zo heerlijk en makkelijk te maken! 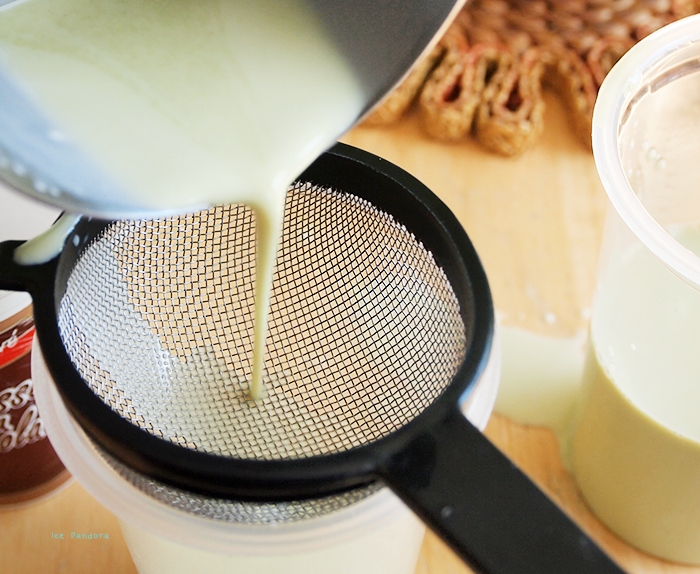 Deze keer heb ik een panna cotta met groene thee smaak gemaakt. Wat Aziatische twist in deze Italiaanse dessert kan geen kwaad toch?! Ik hoop dat jullie het recept uitproberen! Soak gelatin with a bit of water. In pan goes: the cream, sugar and stir and cook on low to medium heat. Don't let it boil! Let it cook around 4 minutes. Remove pan from heat and add in the soggy gelatin. Combine well. 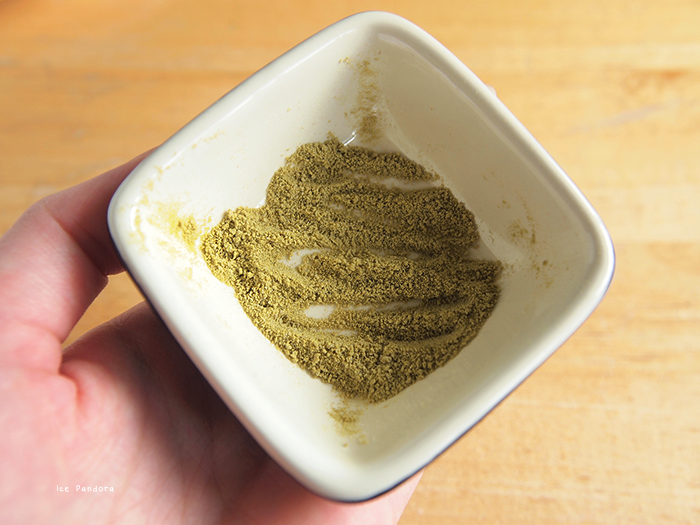 Add in the greentea powder and stir well until it's well combined with no clumps. 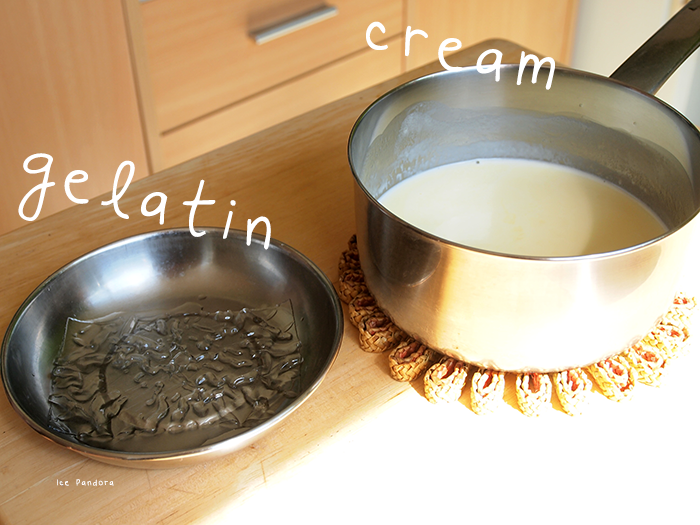 Pour the cream mixture in cups/molds. Let it chill in the fridge to set for at least 4 hours (mine went overnight). 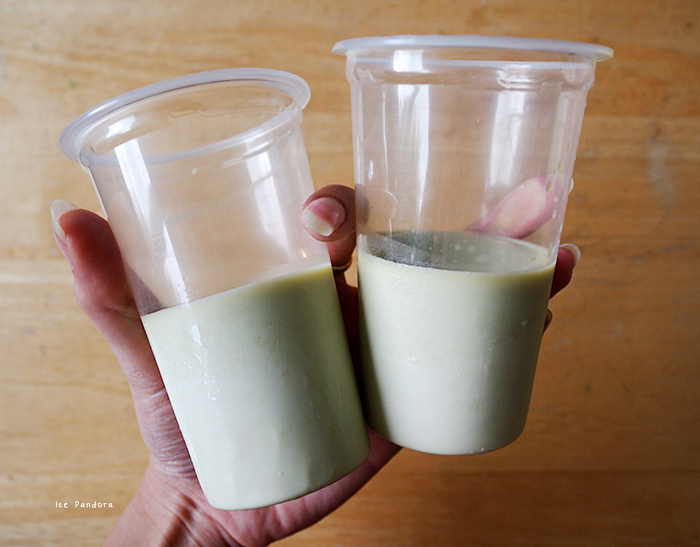 When the panna cotta is all set, remove from the plastic cups. You can place the cups in a warm water bath for easy removal. 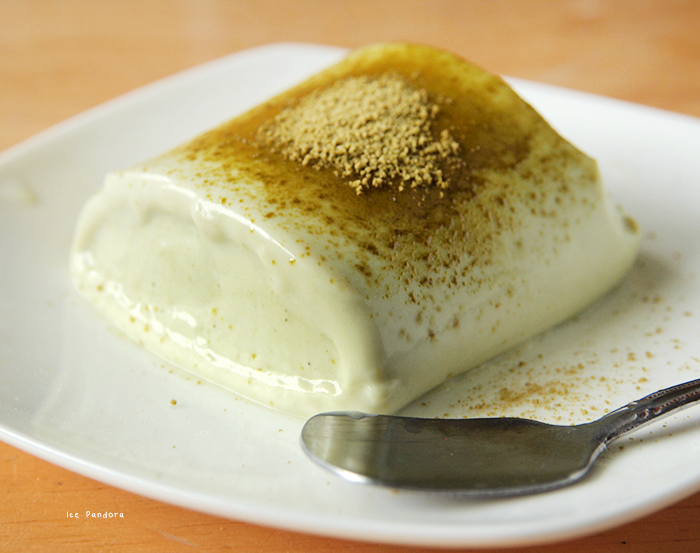 Serve with with a bit of greentea powder on top of the panna cotta. Looks great! Did you ever tried agar agar instead of gelatin? ohh i must try this! That looks delicious! 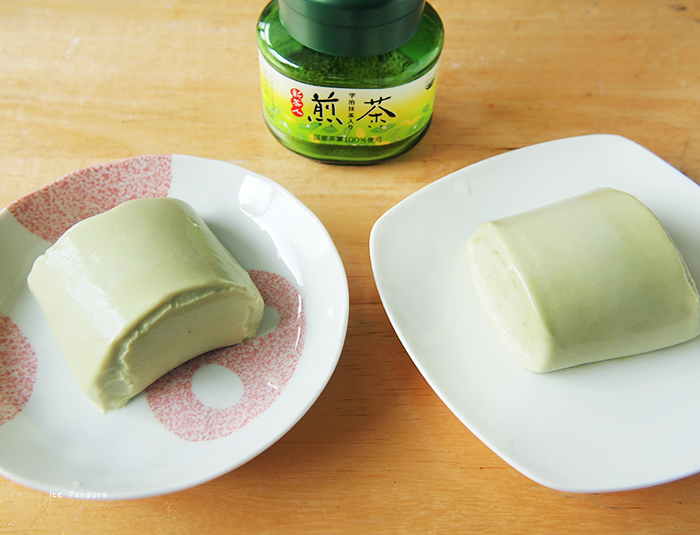 I just got back from Japan and had tons of green tea desserts, so this sounds pretty perfect for me. YUMMY! 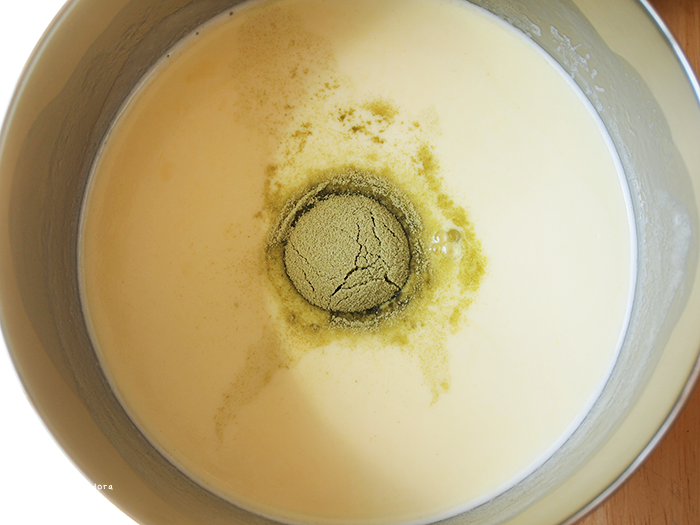 I can't wait to see what other matcha products you come up with! I love pannacotta and infused ones are delicious too! I can totally imagine this! for all my existence hunting for desserts and getting fat from them, I've never really stop to specifically try out different panna cottas. they're kind of famous with the people around here (though not as bombarding as how macarons or red velvet cake was) but for some reason, i'm not really eager about it. i think one reason is because it's a cooked cream dessert and i'm not really friends with cream in general (desserts with cream as their base ingredient kind of scares me). also probably because the panna cotta i tried once in a hotel buffer was kind of... uh soggy and too sweet, nauseous. this sounds amazing! Never had panna cotta, but it always sounds like something I would love since I love creamy desserts. But panna cotta PLUS green tea? I need to try this!!! I will seriously get back to you once I try this. Thanks for opening my eyes to this recipe idea! I never ate something like that, but it looks super nice ! Love the photos and gif ! 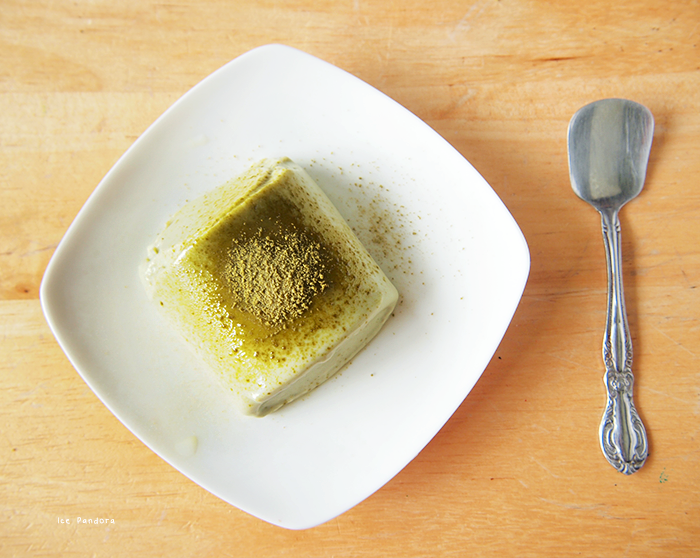 I had green tea cake when I was in Japan and I loved it! This looks pretty yummy too. You're always making the fanciest desserts. Love that little wobble haha. Oh my gosh, this looks amazing, Mei! ;u; Definitely trying this. Thanks for the recipe! What a great idea for a summer dessert! 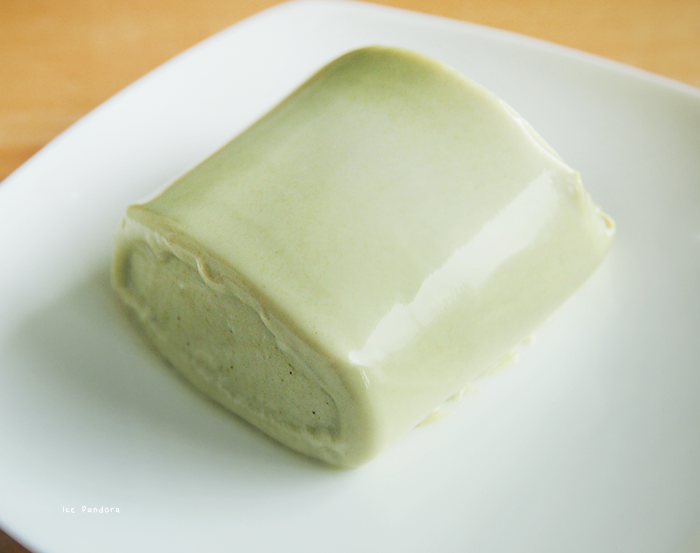 The panna cotta is light and delicious, but it sound much much better with the green tea :) I must try!